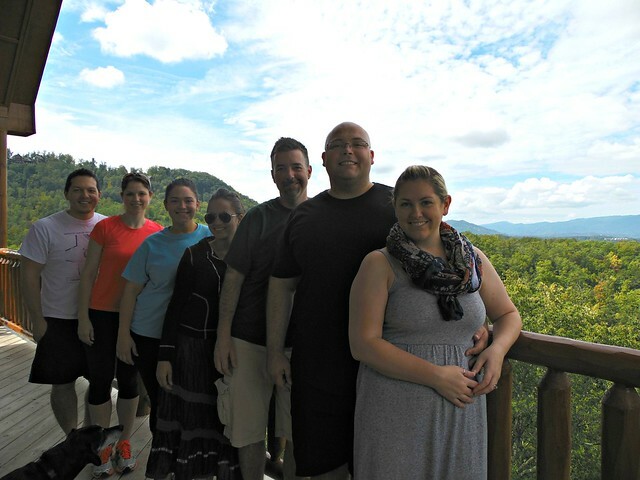 Our Pigeon Forge cabin had a gorgeous view overlooking the mountains. It was something special at night, when we were all huddled in the hot tub, looking up at the stars. 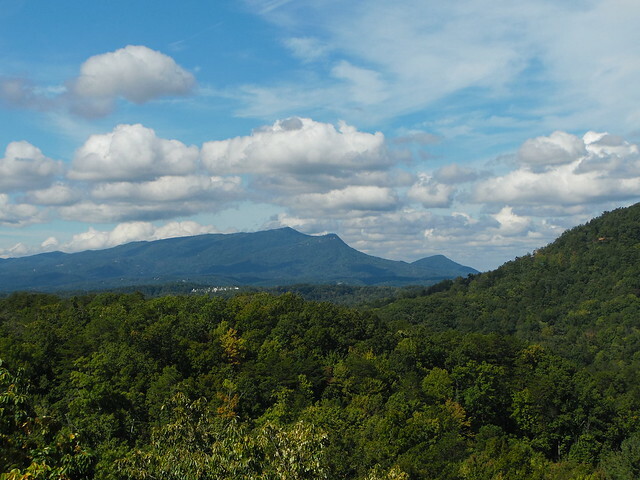 The moonshine industry is booming in downtown Gatlinburg. 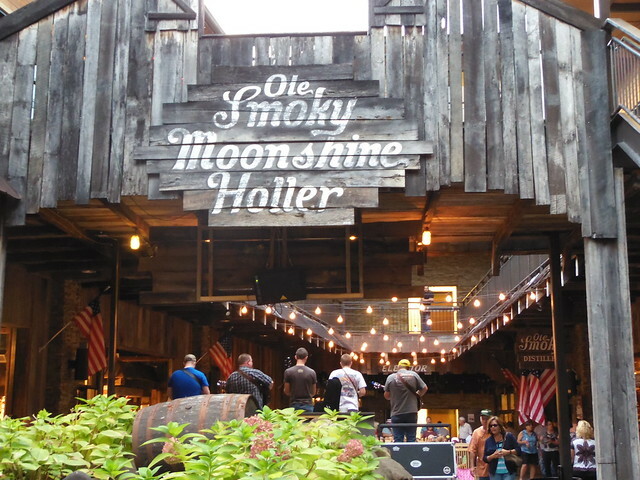 Ole Smoky Tennessee Moonshine has a huge distillery/store, but the best part of their location was the ‘holler’ where local musicians entertained guests. 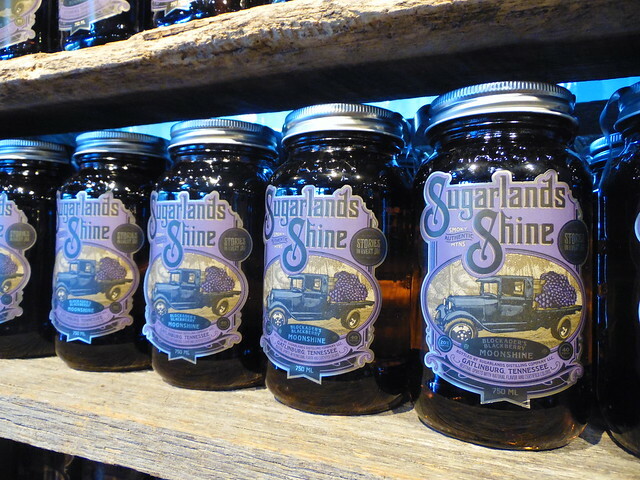 By far, Sugarlands Distilling Company had the best sampling experience – and the best tasting moonshine I’ve ever had! We bought one jar of the Apple Pie flavor and I’m already sad we didn’t do the buy 5, get one free deal. It’s that good. 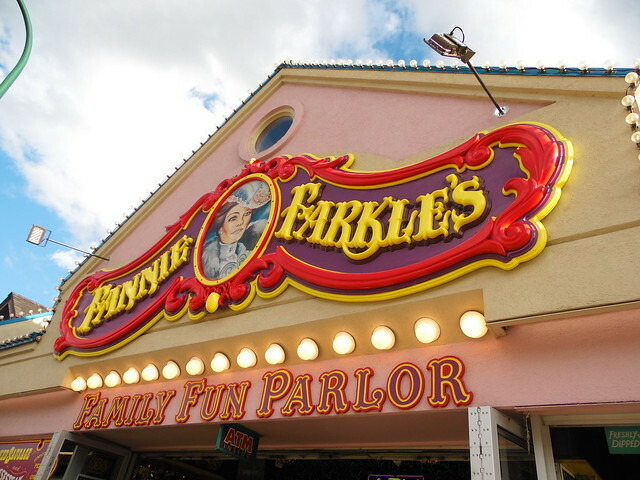 Our stop at Fannie Farkle’s arcade brought back more than a few memories. Although they moved my favorite poker game to the back corner (along with the other busted-up machines from the early 90’s), the sound of the tickets being counted and the smell of the Ogle dogs cooking took me back. I walked away with a plastic spider ring, a mini deck of Old Maid, a Chinese finger trap, a postcard… and a huge smile on my face. 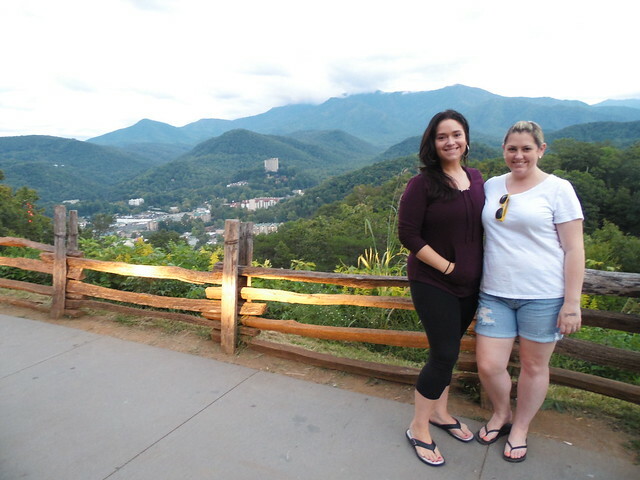 Although we didn’t spend too much time in the National Park, we did make a quick stop around dusk to take some photos at the scenic overlook above Gatlinburg. It’s a wonderful spot for photo ops, like this one of me and Ashley! 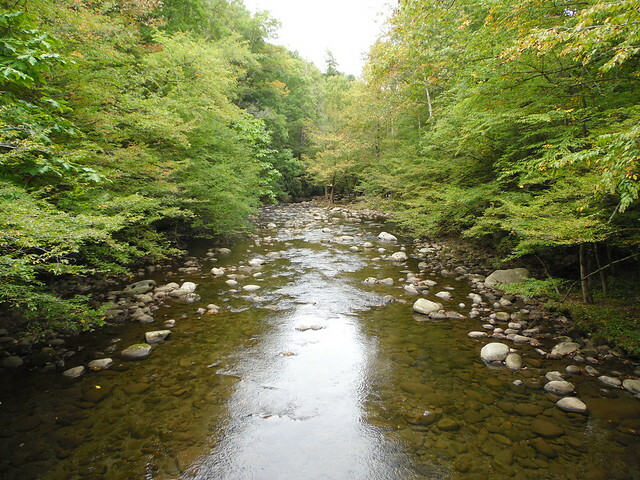 Something about being out in the woods just makes me happy. I was able to take a quick dog-friendly walk with some friends around the Sugarland Welcome Center. Believe it or not, the main Parkway is just on the other side of those trees! And one last shot of the group!